Spina Verde Park is a protected forest which covers an area of 1000 hectares (3.86 square miles). 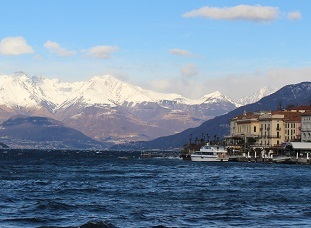 The park is located southwest of Como, and also includes the municipalities of San Fermo della Battaglia, Cavallasca, and Colverde. Within the park there are lots and lots of trails, 13 of which are officially recognized by the Park Authority. The Spina Verde Park collects many sites of panoramic, historical, and natural interest. Read this guide and discover the best places to have a stroll around Como. The Castel Baradello rises on a hill facing the town center of Como. 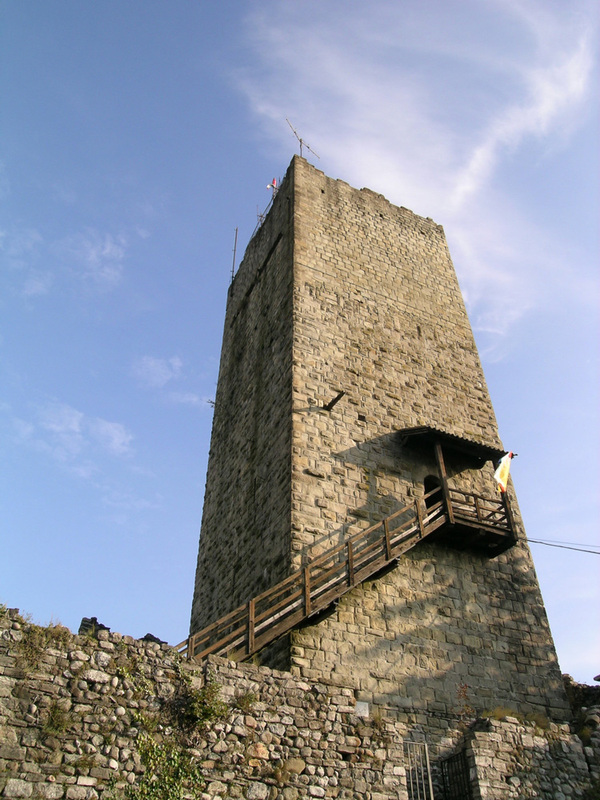 It is a military fortification built in the 6th century by the locals (who were under the Roman empire) and later restored by Frederick Barbarossa, the Holy Roman Emperor. You can get to the Castel Baradello by following a path that starts 5 minutes away from Piazza San Rocco, and takes you to the tower in about 30 minutes. From Piazza San Rocco, take Via Teresa Rimoldi and walk until you see Via Castel Baradello on your right. Continue on Via Castel Baradello and then you’ll reach Via degli Alpini. Keep following the directions, and in a few minutes you will get to the Castel Baradello. If you’re not into walking, you can start your trip from Piazzale Camerlata and shorten your walk. Enjoy a visit to the castle and don’t miss the chance to take a picture from the inspiring scenic spot located at 430 meters (470 yards) above sea level, which offers an amazing view of Lake Como. The stroll will probably gets you hungry… in that case, book a table at the Baita Baradello, a cozy place offering traditional dishes. If you’re looking for the best viewpoint around Como, you should head for Respaù. You can get there by continuing along the path that passes by the Castel Baradello: just follow the directions to Respaù / San Fermo della Battaglia (for approximately 30 minutes). Just before arriving, you will come across the hotel-restaurant Cascina Respaù. 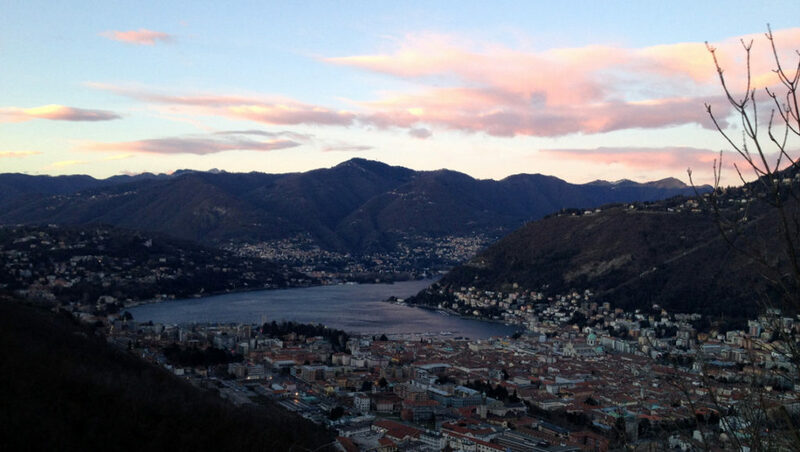 Once you get to the viewpoint, you will enjoy a 360° view of Como and surrounding areas. In the clearest days, you will also have the chance to see the far skyscrapers of Milan. Among locals, the Monte Croce is one of the most popular places in all of the Spina Verde Park. You can get there by continuing along the previous path, or you can start from Via Ronchetto, on the outskirts of Como. If you arrive from Respaù, you will come across the Baita Pianvalle, another typical inn where you can taste some typical food. 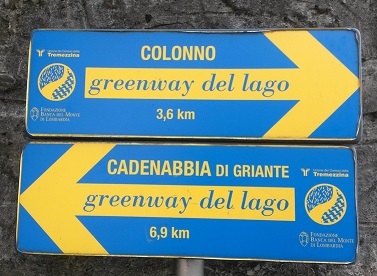 After passing the restaurant, at the point that intersects the road leading up from Via Ronchetto, turn right and continue uphill for about 30 minutes. But before getting up the hill, don’t miss the opportunity to take a look at the ruins of the early inhabitans of Como, the Culture of Golasecca. Within a short distance from the turning point toward Monte Croce, you will find some signs indicating “Abitato protostorico.” Follow them and you’ll jump back more than 2000 years. 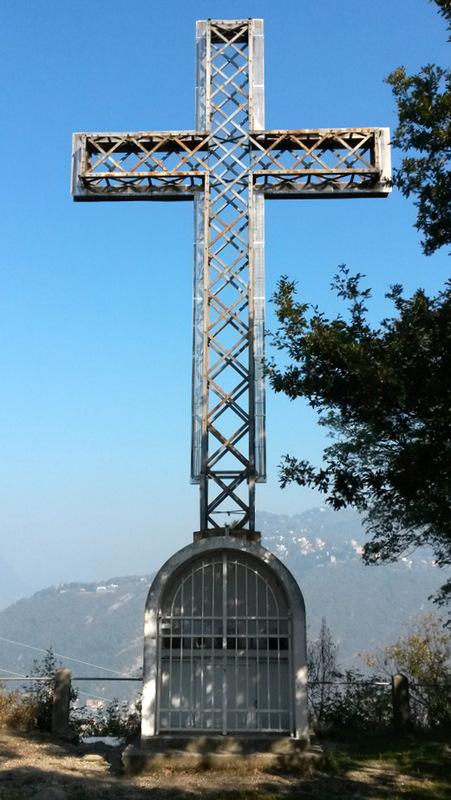 When you get to the top of Monte Croce, you will see the beautiful Croce di Sant’Eutichio. The cross dominates the city of Como, from which it is always clearly visible. At night, the cross is lit up and gives the ridge something magical. If you are hungry or just need a coffee, go to the nearby Baita Monte Croce, and relax before resuming your tour. Monte Sasso is located in the western part of the Spina Verde Park. If you love contemporary history, you should go for the trenches and tunnels of the First World War, created to prevent a potential German invasion from Switzerland. You can get there by following the road that starts from Via per Bronno, within the municipality of San Fermo della Battaglia. 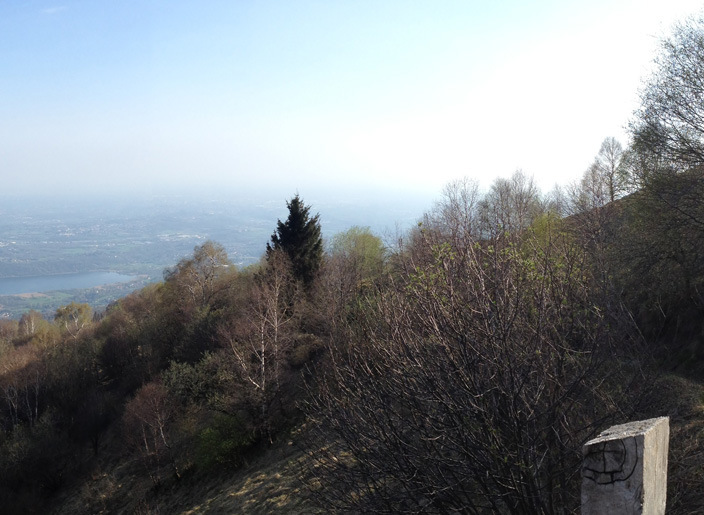 Before getting there, you will come across the viewpoint of Pin Umbrela, that offers an amazing view of Lake Como. A few minutes away from the trenches, you can also find the springs of Seveso River, which runs for 52 km (32 miles) until it gets to Milan. On the opposite side, in the Como neighborhood of Albate, Valbasca represents the eastern side of the Spina Verde park. Valbasca, which is located east of Monte Goi, is crossed by a long, flat, natural path where you can take your children for a walk – but pay attention to the people running there! Spina Verde Park has many routes to discover. If you love nature, you have the opportunity to enjoy it in all its beauty within a short distance from the city of Como. While you’re in the woods, don’t miss the chance to stop and eat in one of the typical restaurants and taste some traditional food.